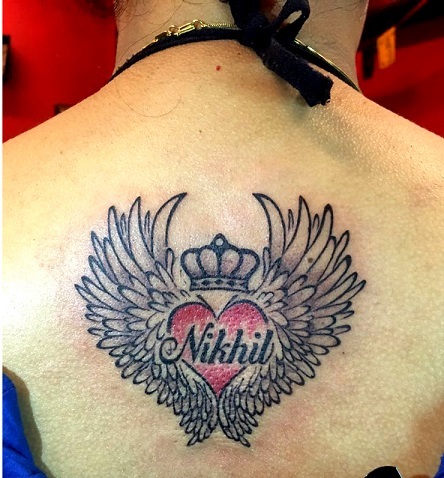 Training - Welcome to Amin`s Angel Tattooz and piercings studio, training and tattoo material supply in Hyderabad. 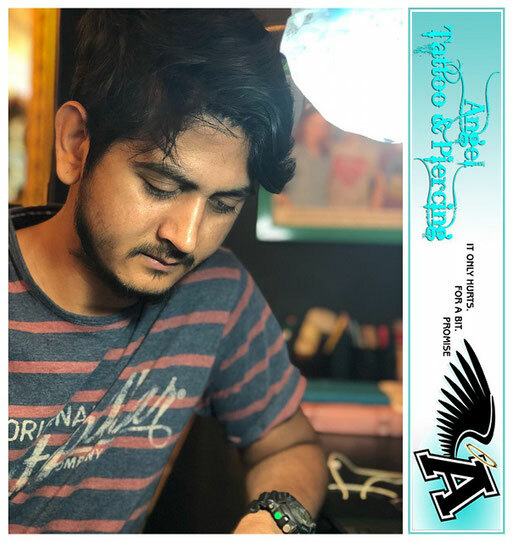 We at "ANGEL TATTOO & PIERCING STUDIO" always strive to give the best training program, so that you can learn this beautiful art of tattoo and piercing and accomplish your dream of being a part of it and soon start up your own studio. Below mentioned is our training program details and also a brief description about our previously trained students and their success stories. 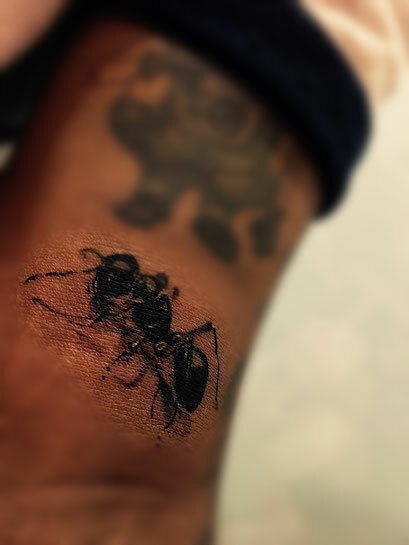 Om acharya started his career as a gaming programmer and later his love and passion for tattoo and its art-form pulled him into the tattoo industry. 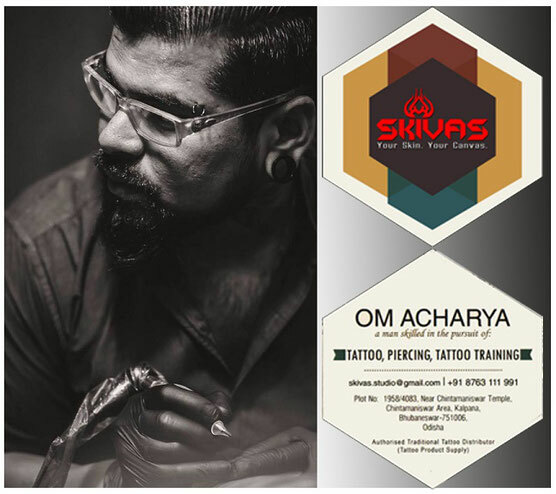 At present he owns and runs a very successful tattoo and piercing studio named SKIVAS tattoo & piercing studio in odhisa, bhubhaneshwar. 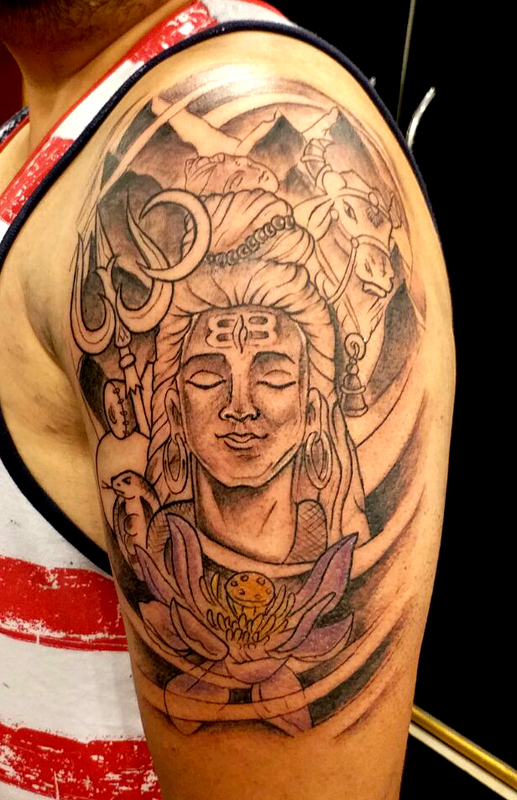 Om has bin a fighter all his life, be it personal or professional life. We r always proud to have such students who have immense dedication towards their work and a passion to prove themselves. 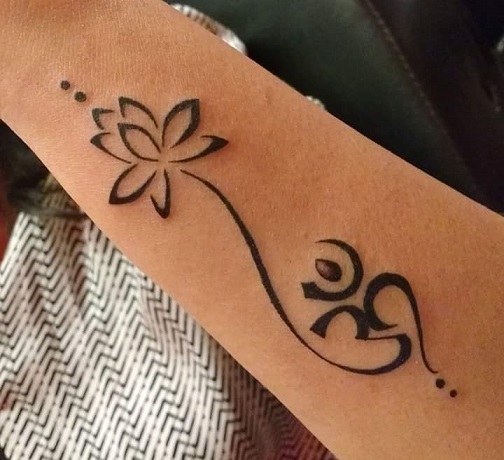 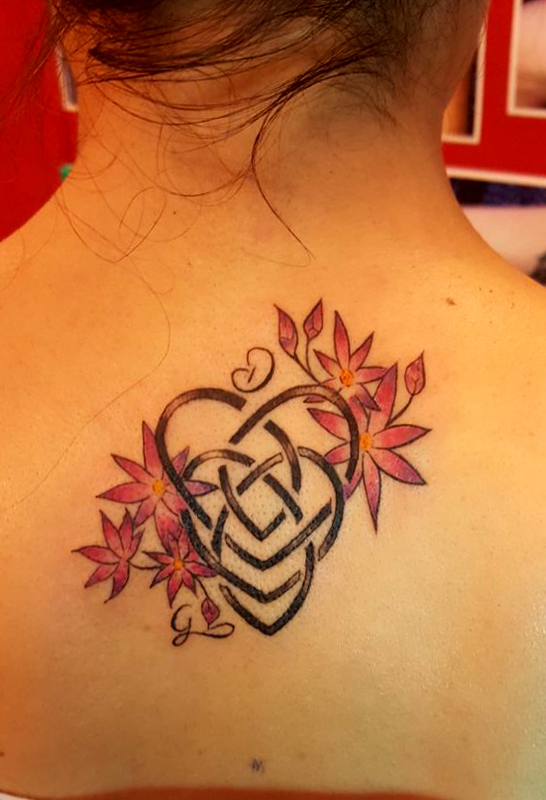 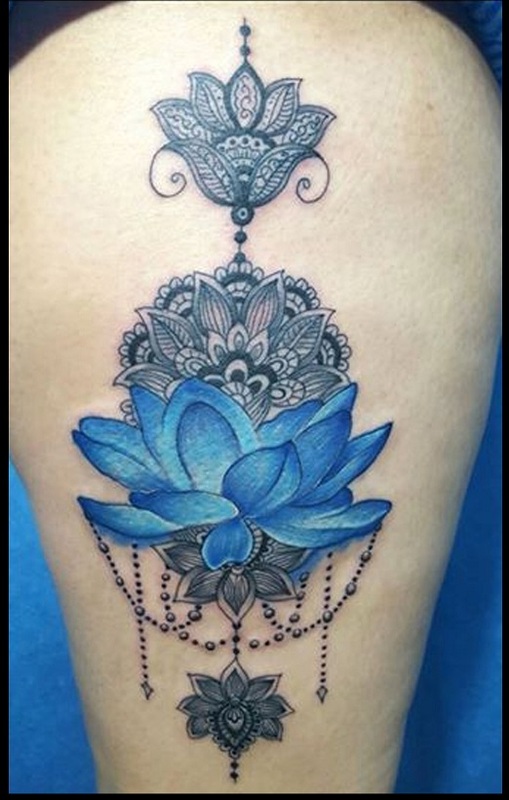 Presently Om is the best tattoo artist one can find in odhisa and his tattoo studio has gained immense reputation and holds the no.1 position in odhisa. 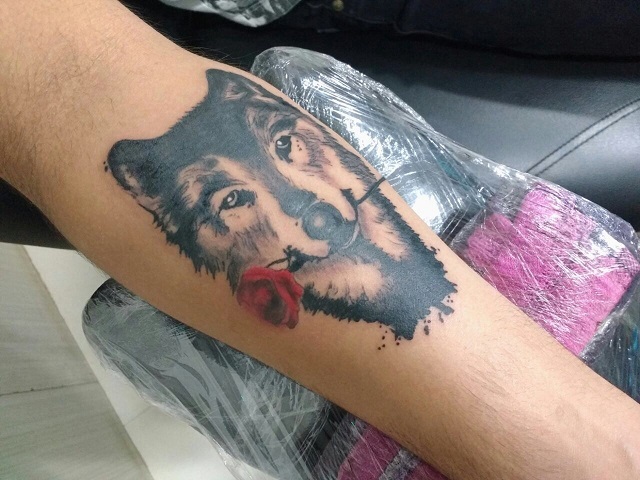 Few of his works are posted below. 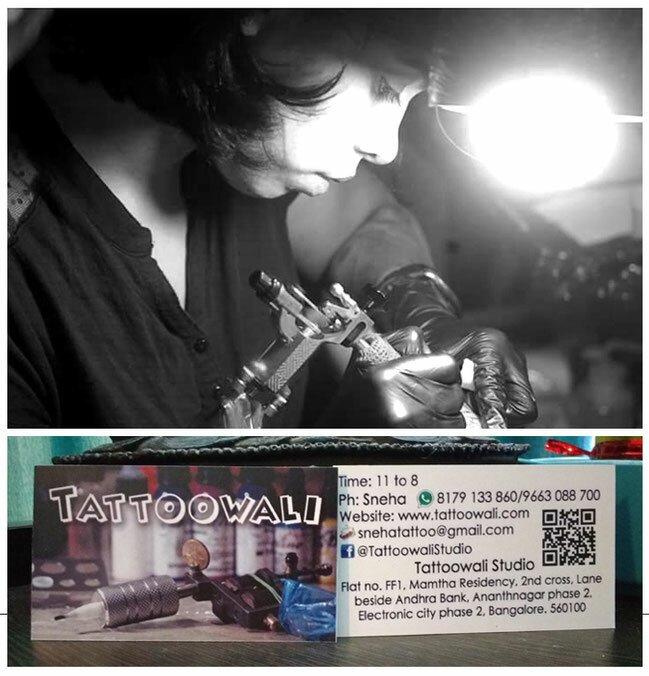 Ravi is our in-house tattoo artist working at our very own ANGEL tattoo studio. 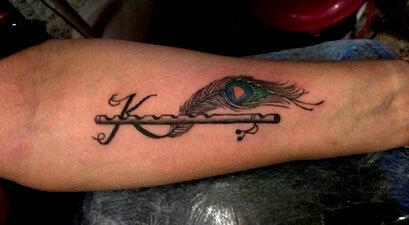 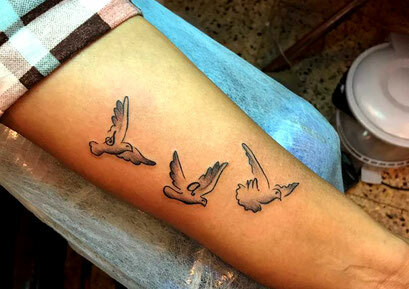 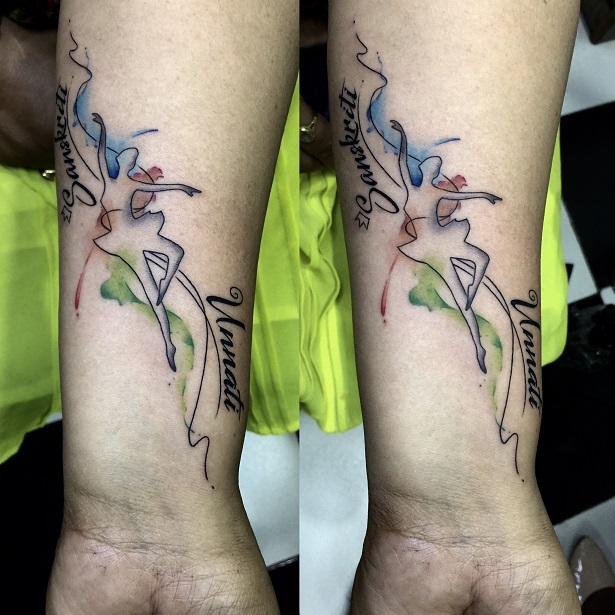 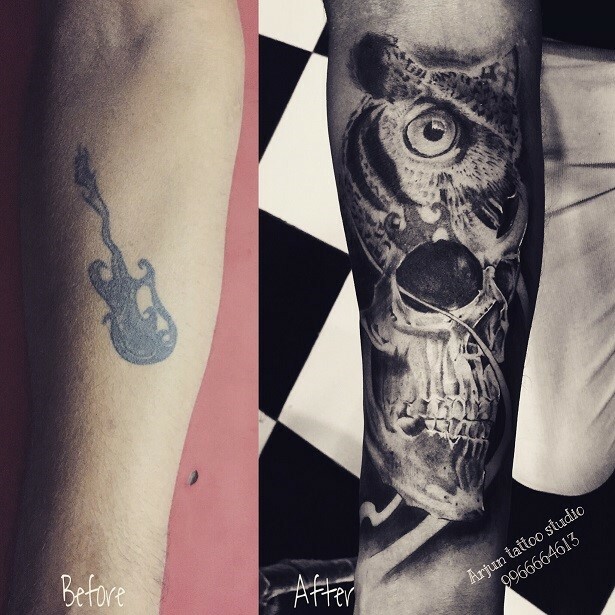 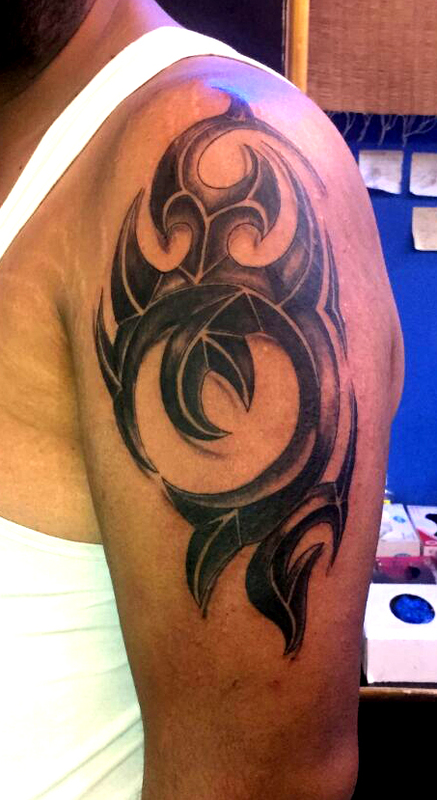 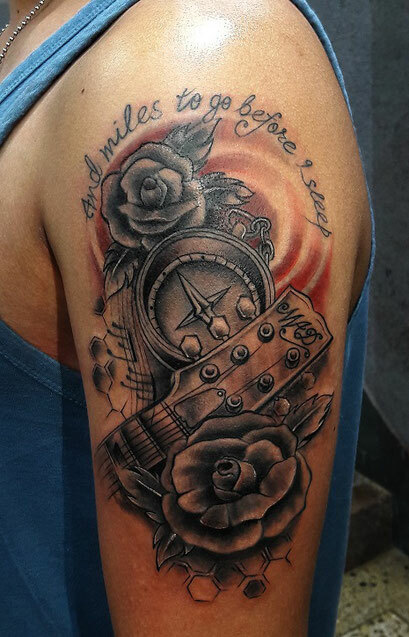 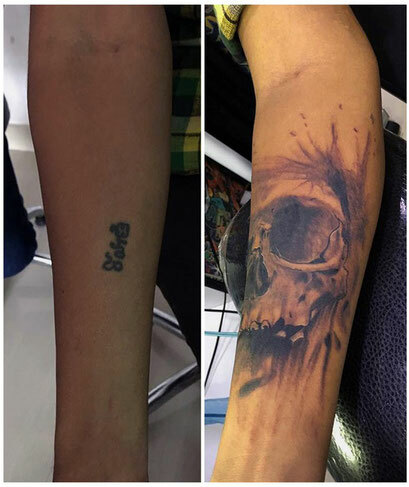 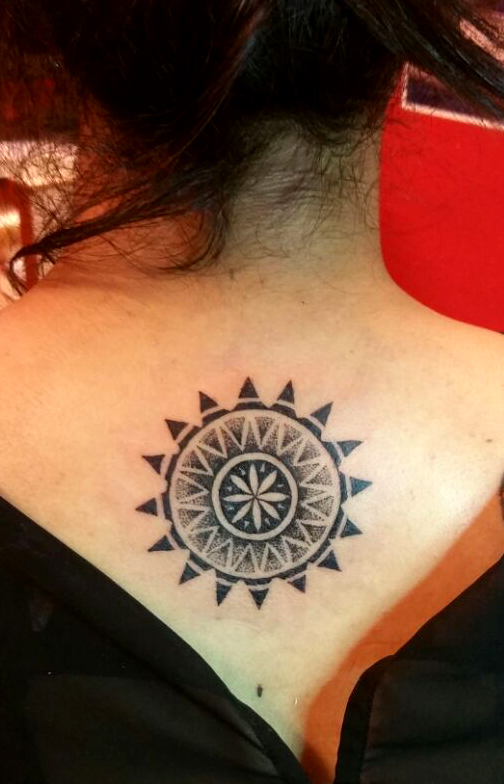 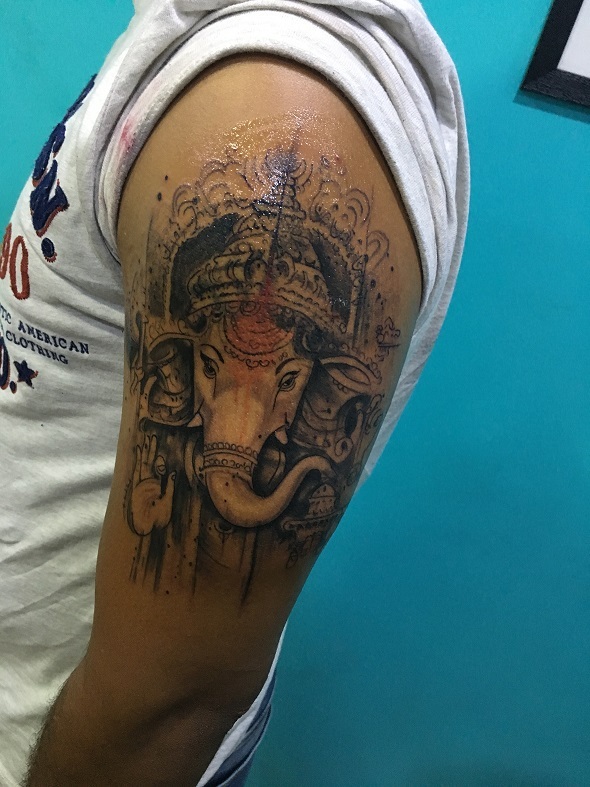 Ravi had taken his basic tattoo training course at KDz tattoo delhi, but he found his solace at Angel tattooz. 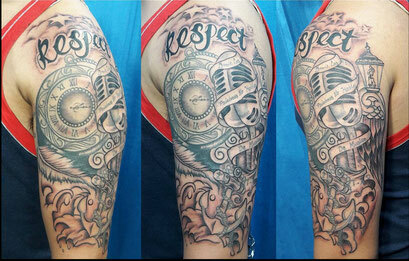 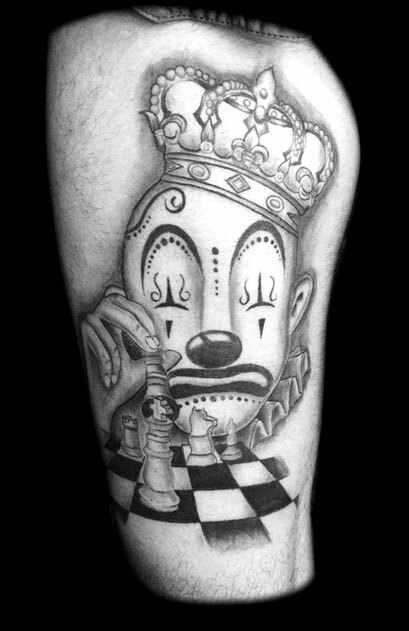 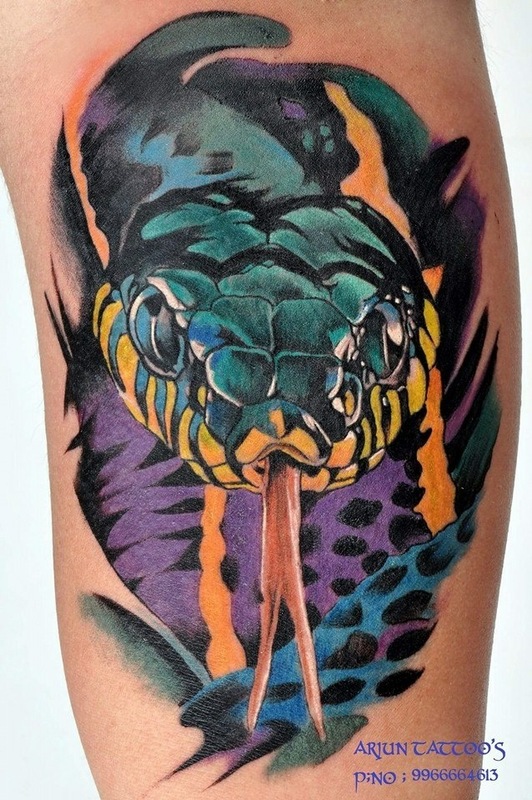 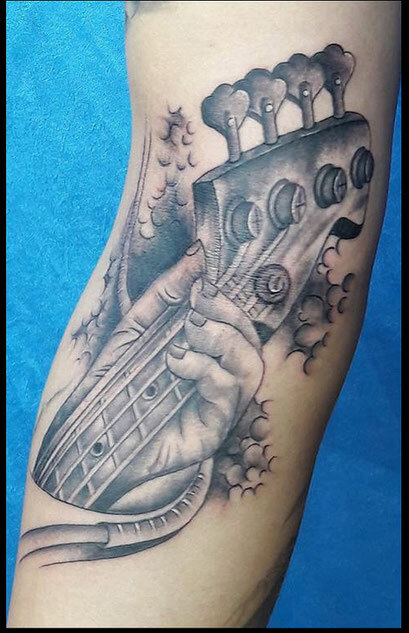 He gained most of his work experience here and grew up as a fine tattoo artist. 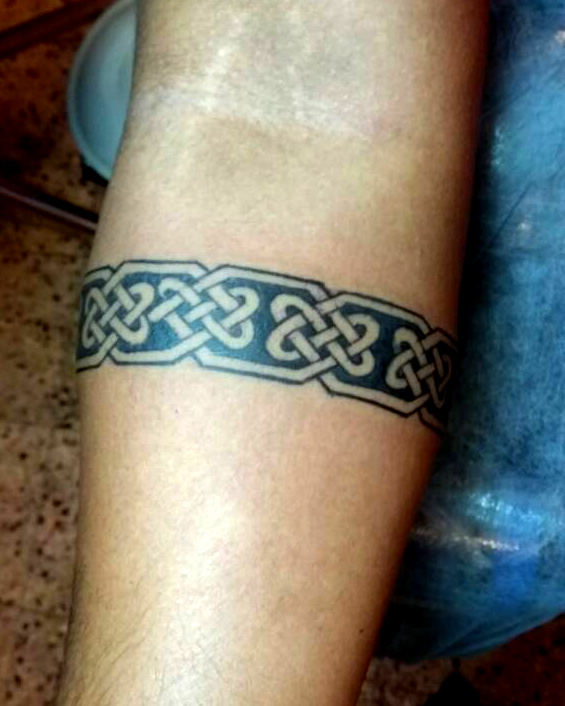 His lines are crisp and steady and work is neat. 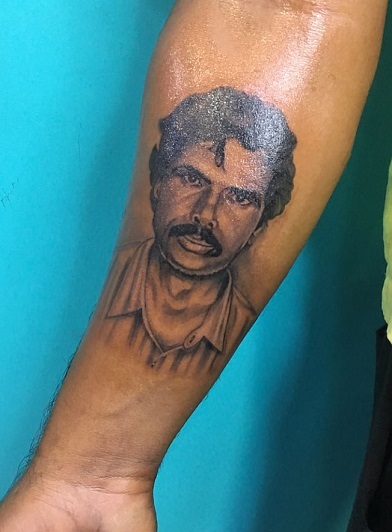 He is the youngest at our place and thus is the most loved one. 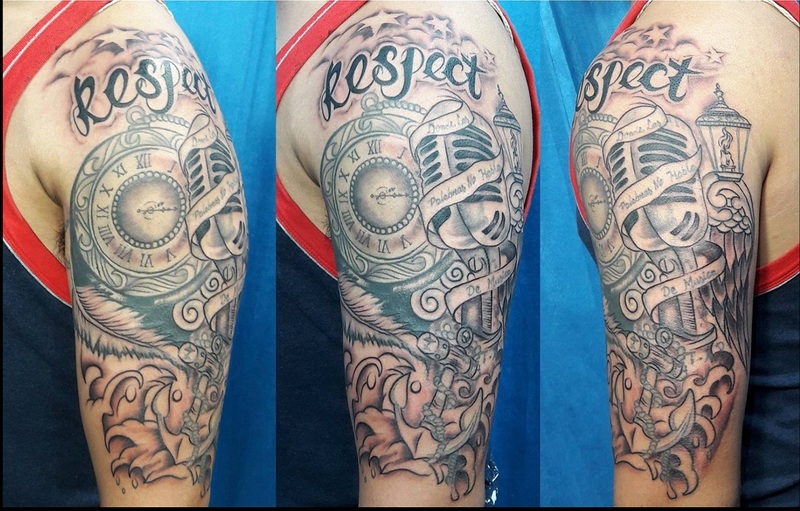 He has an amazing full upper torso tattoo etched on him which has also won 2nd place at the HEARTWORK international tattoo convention 2016. Few of his works are posted below. 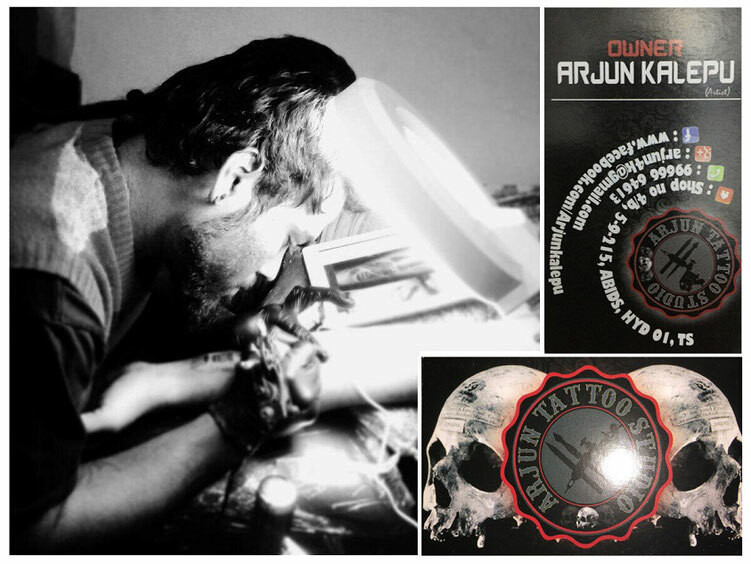 Arjun was our very first student. 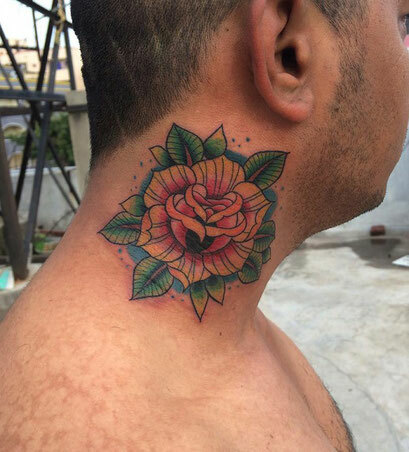 He was a teenager when he started his career and now has grown up to be as one of the best tattoo artists one can find in hyderabad. 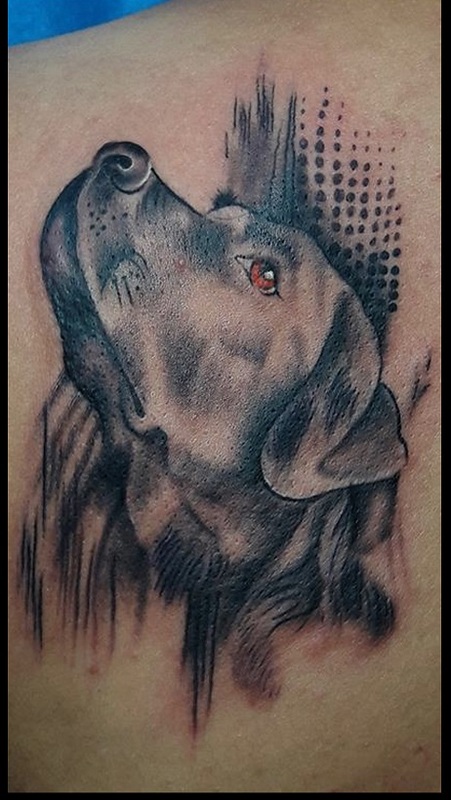 We taught him only the basics and he put all his skills of drawing, learning and observation together over the years and carve himself into a fine tattoo artist. 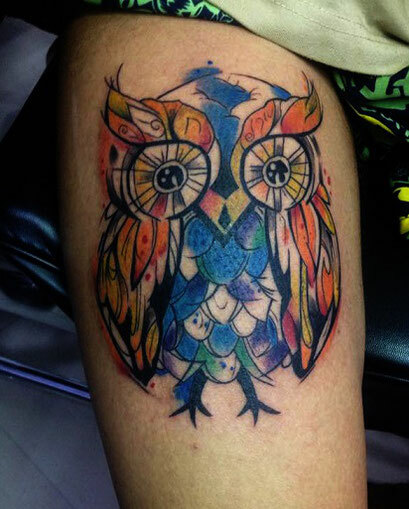 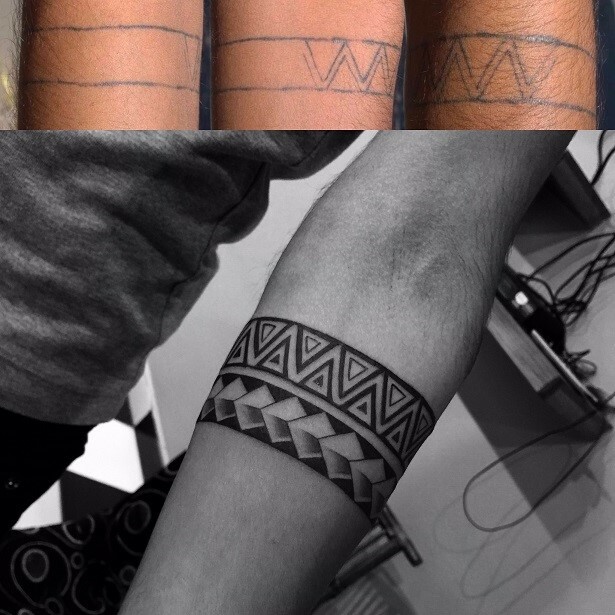 We love his colour packing and geometric pattern tattoo skills. 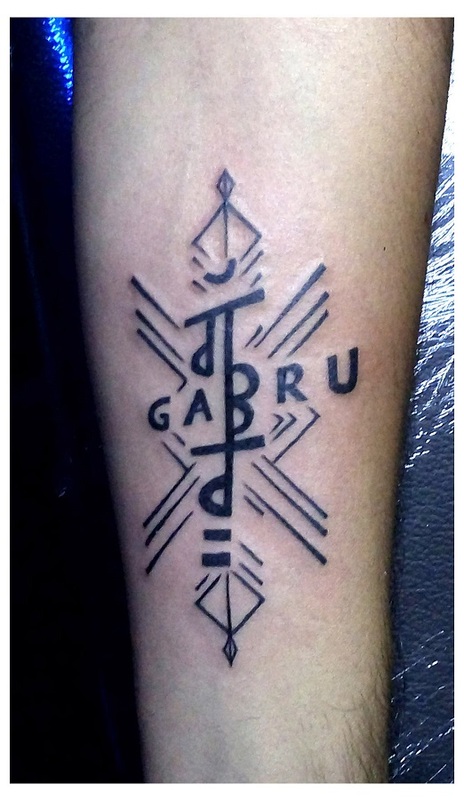 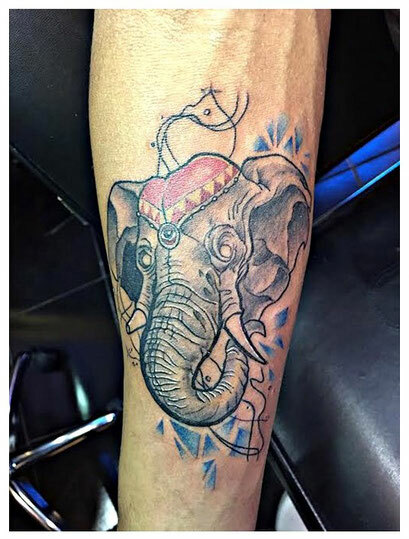 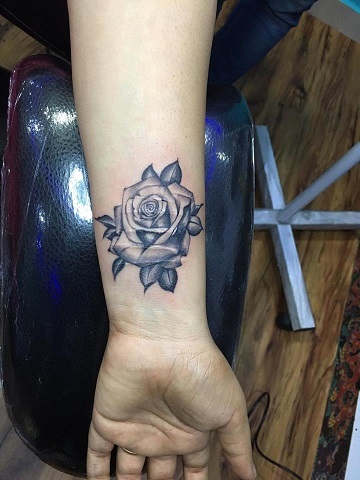 Arjun has a cozy tattoo studio in chirgali abids hyderabad and is soon planning to shift to a bigger better location and wishes to be more expressive as a tattoo artist. 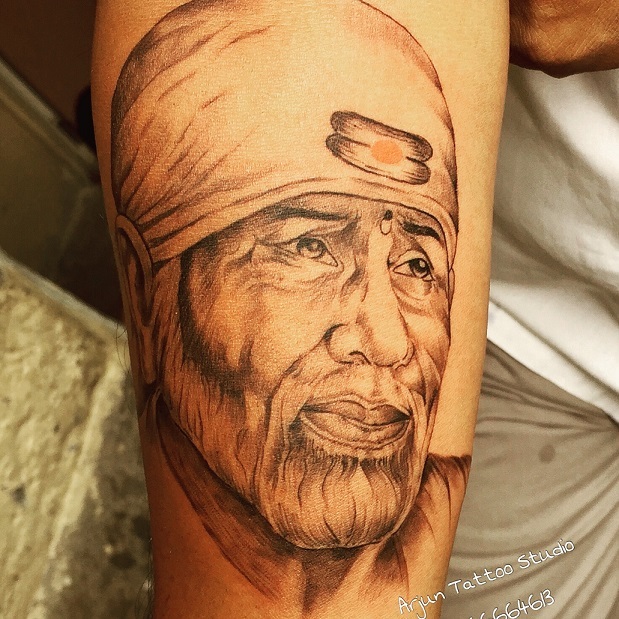 Few of his works are posted below. 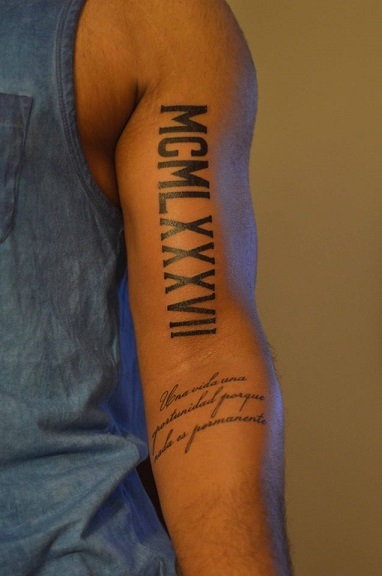 Forget about the past and focus on the future. 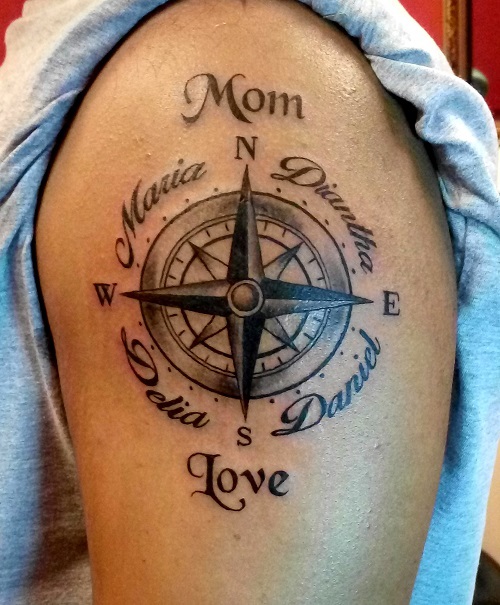 This sayin fits best on Dudo. 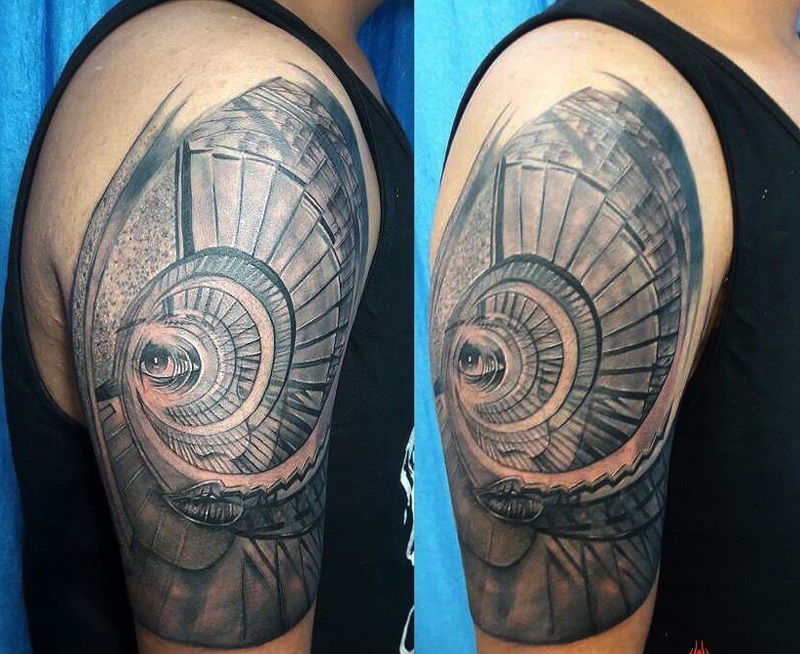 His journey as a tattoo artist has bin a roller coaster ride. He never went to a formal drawing school nor was he really serious about the profession in the beginning, but believe it or not, he proved everyone wrong. 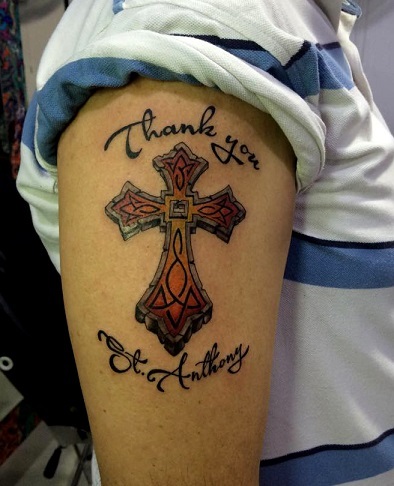 His works speak for him now. 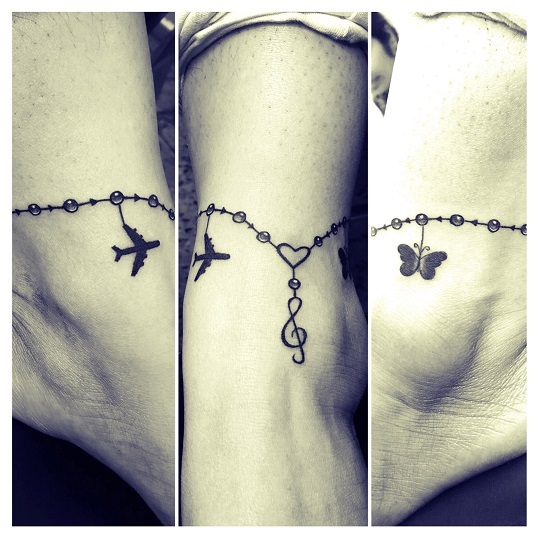 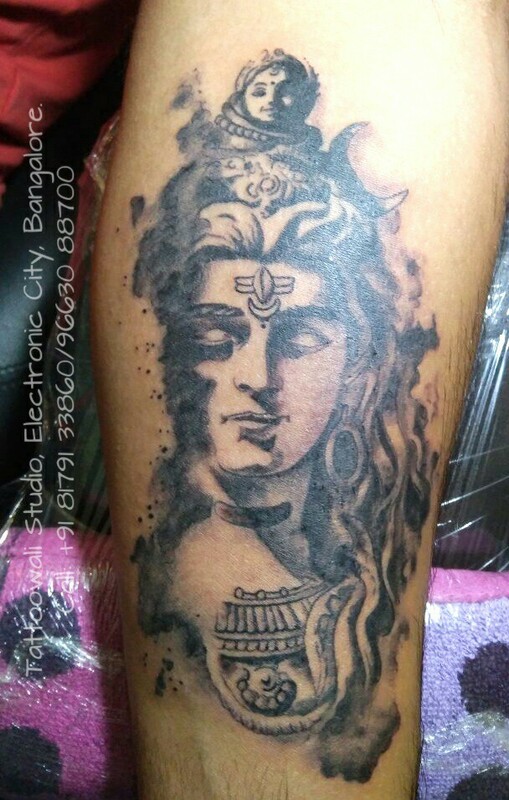 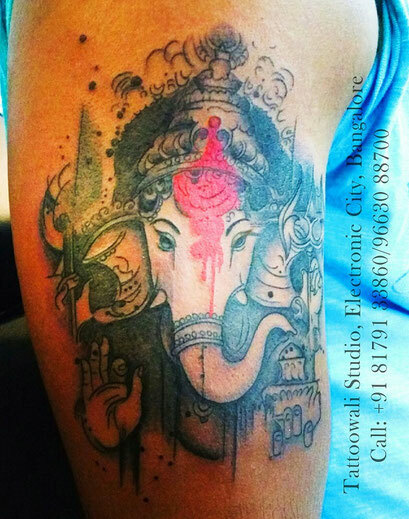 He is also one of the fine tattoo artist one can find in hyderabad. 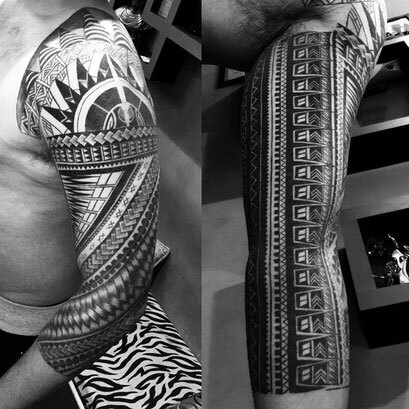 He started by joining a drawing school and spent long-long hours at his studio, sketching and fine tuning his tattooing skills by observation and practice to become what he is now. He makes us proud. 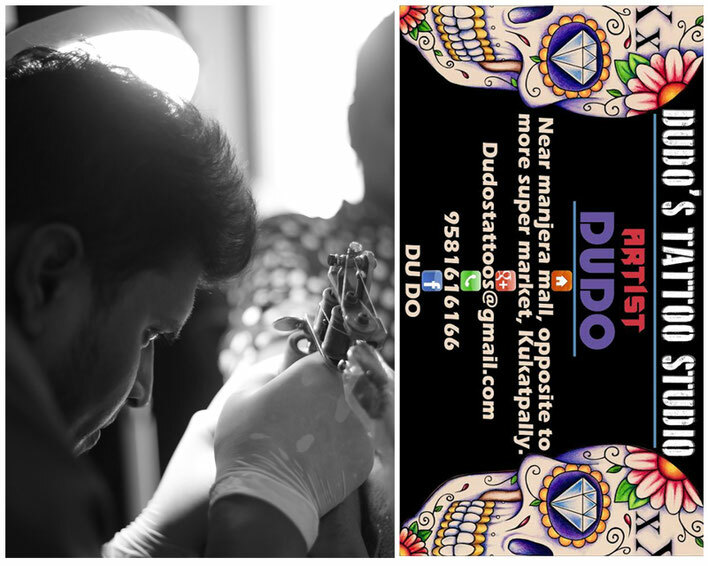 At present he specializes in all form of tattoos be it old school , new school or portrait, dudo gives his 200% and tries to be as creative as possible for his clients. 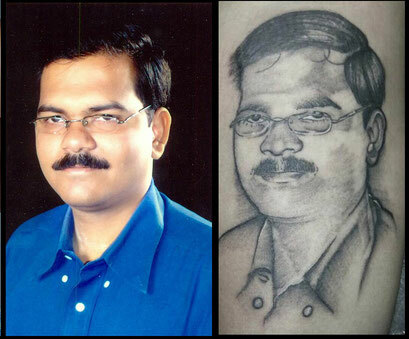 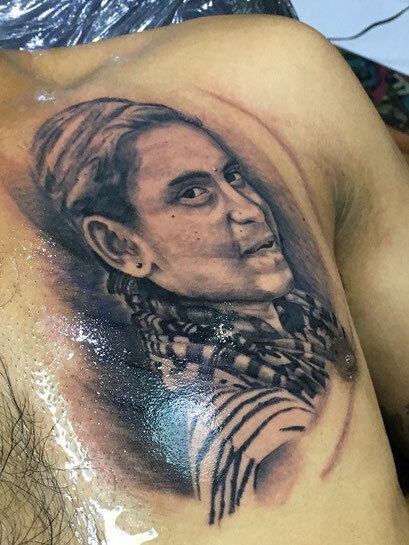 He owns a successful tattoo studio at kukatpally hyderabad. 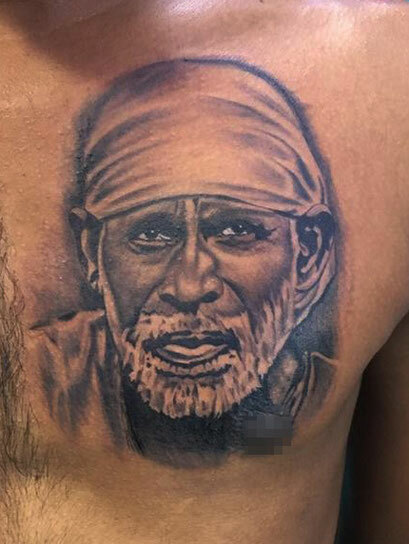 Few of his works are posted below. 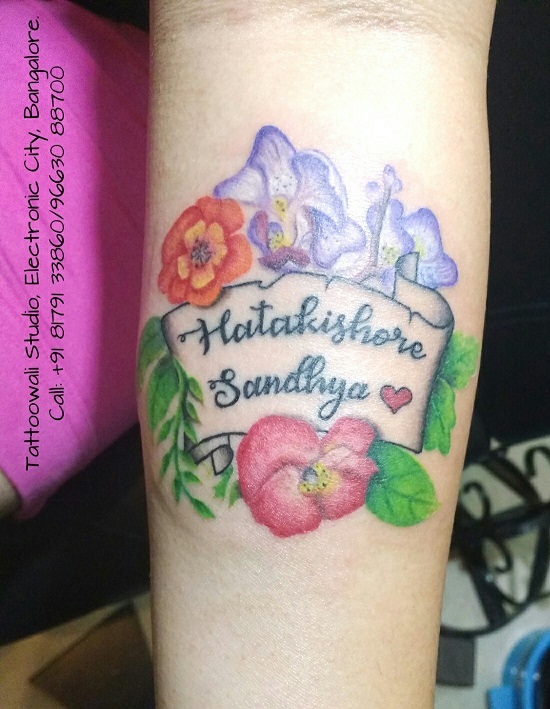 While most of the tattoo artists are male, Sneha is one of those few female tattoo artists that people can rely on for a good tattoo. 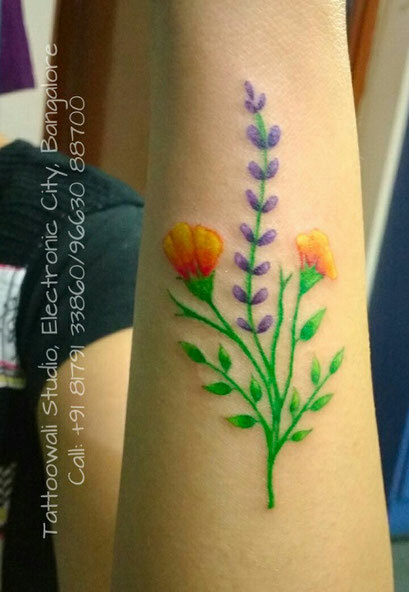 Sneha has taken a formal drawing education and then started her career as an animator, and she had also done a couple of amazing wall paintings that blew our mind, but i guess animation and wall painting couldn't provide her the zing that tattooing does for her and thus she decided to become a tattoo artist by joining us. 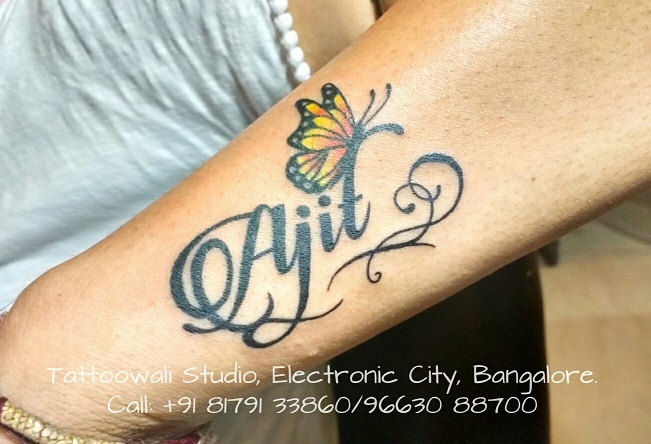 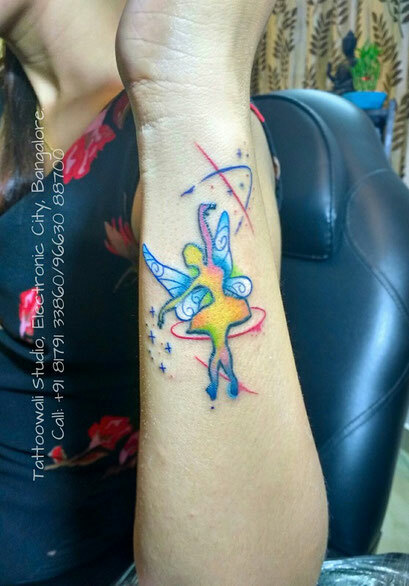 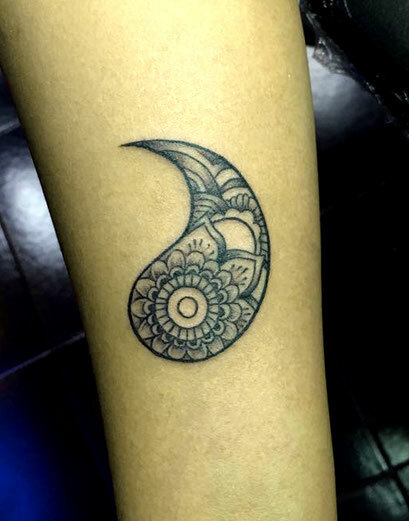 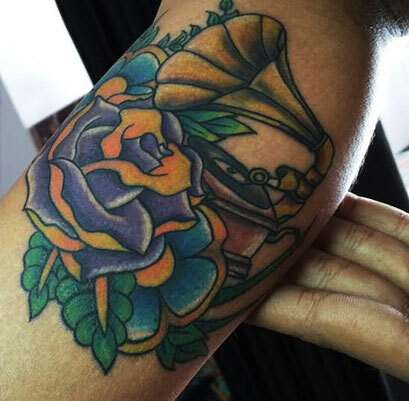 After completing her tattoo training, Sneha worked at angel's for a couple of months before starting up her own studio at Bangluru named TATTOOWALI. 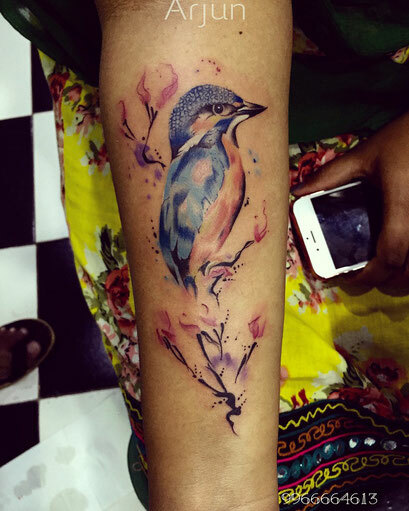 Her tattoo work is as beautiful as her wall paintings. 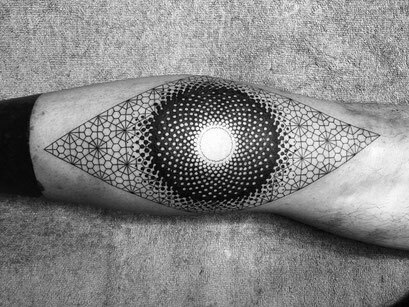 Few them are posted below. NOTE: We would NOT like to take credit of making such amazing students who have produced such beautiful works over the years. We only teach them how to fish, the rest is all their hard-work, passion, dedication, respect and immense love for this beautiful profession of Tattooing.